Looking for a cheap hotel in Nicosia (Turkish Side), North Cyprus? Check our amazing selection of Nicosia hotels & save with our best price guarantee. 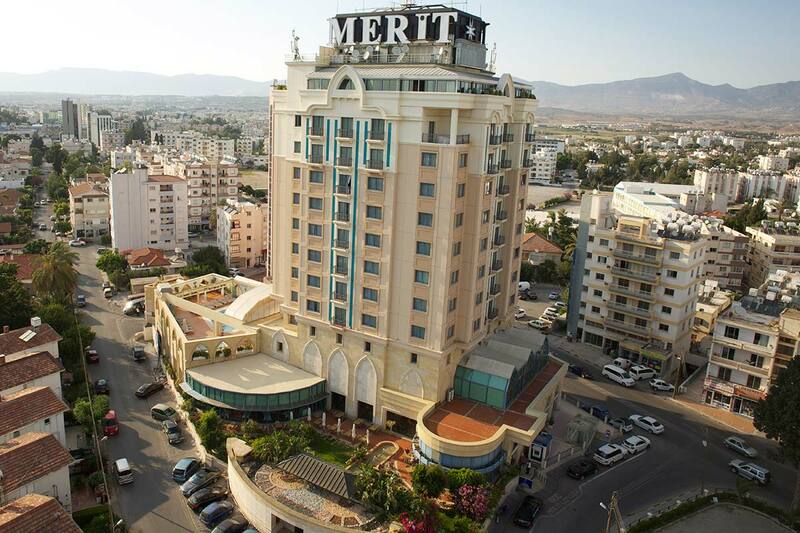 Situated in the hearth of North Nicosia, Merit Lefkosa Hotel is perfect to explore the area. In Nicosia city centre, this hotel is perfectly situated for business or leisure travellers. 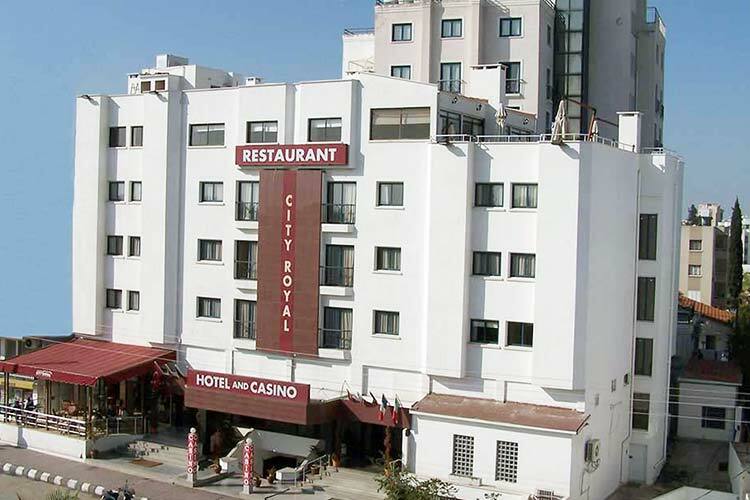 City Royal is one of the business hotels in North Nicosia, located in the heart of the capital. The capital city of Turkish Republic of Northern Cyprus. The city of Nicosia, known as Lefkosa by local people, is the capital city of North Cyprus. The city developed as the capital after the fall of Salamis. Its position, in the centre of the Mesaoria Plain, was protection from coastal Arab raiders. The city became very rich during the time of the Lusignans, between the 12th and 15th centuries before being sacked by the Egyptian Mameluks. Soon after, the Venetians arrived and built the walls with eleven bastions and a dry moat but was further sacked by the Ottomans. A decline followed and the British arrived in 1878 to find an almost derelict city. A city of two halves, the northern Turkish half of Nicosia still retains much of its old appeal. The confines of the Venetian era walls encompass a web of narrow streets where time appears to have stood still. Traditional Turkish and Greek houses, many now in a dilapidated state but still showing signs of their past grandeur, mosques, churches, inns (hans), markets and shops which, from the outside have hardly moved with the times, await discovery. Familiar chain stores don't exist in North Cyprus but the city does have modern shops beyond the city walls. For an excellent panorama, go to the top of the Saray Hotel next to Ataturk Square for coffee. To fully appreciate this city follow the Blue Line; a map can be obtained from Tourist Information at Kyrenia Gate, the arched northern entry into Nicosia, built by the Venetians in 1567, where the dolmus from Kyrenia stops; a good way to start a tour. This building was a main entrance, the roads either side being a 1930's British addition. Heading up the main street, pass the Mevli Tekke Museum of the Whirling Dervish to Ataturk Square. The Dervish Pasha Mansion shows the characteristic Turkish architecture of the 19th century. Close by is the Ottoman Buyuk Han (Great Inn) and Kumarcilar Han (Gamblers Inn) and the magnificent Selimiye Mosque, the former St Sophia Cathedral, next to the Bedestan, the former Greek Orthodox Cathedral. Here too is the covered market and shops along atmospheric, bustling Arasta Street, which leads to the Lokmaci crossing into south Nicosia. A passport is needed to cross the Green Line. In the Turkish Arabahmet district, the 19th century Dervis Pasha Konak is now a museum; named for its owner who published the first Turkish newspaper in Cyprus. Dr. Fazil Kucuk Museum, National Struggle Museum, Lusignan House, Nicosia City Walls and Stone Art (Lapidary) Museum are other places to visit in Nicosia. There are other interesting places to see in this area and also pleasant places for lunch. The Venetian Column in the most important square of Nicosia is moved from Salamis as a tribute to Venetian rule in Cyprus. Nicosia is currently the biggest and most densely populated city in Northern Cyprus. The developing, urban, yet historic and charming city of Nicosia is the major center for arts, culture, diplomacy and business. Today, Nicosia has become a business and shopping center. Ercan International Airport is located in Nicosia. When you are on holiday in North Cyprus most of the tour companies offer shopping tours to this city. 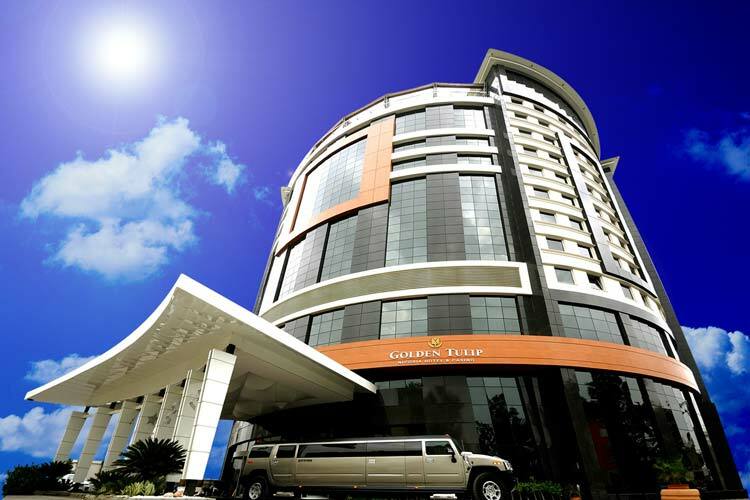 Nicosia hotels are available for business stay. You can get one of city's map from our map folder.